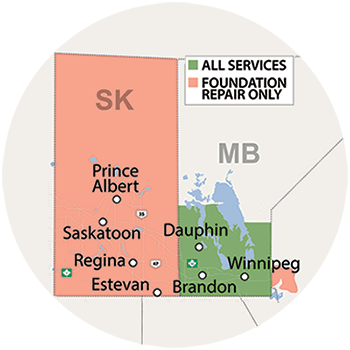 The PRO Partner Program is awarded to local Manitoba businesses and individuals who we work with on an ongoing basis. Each understands the importance of the specific challenges of wet basements, damp and unsealed crawl spaces, and failing foundations and has partnered with us to help their clients. The below businesses and individuals represent the same standards of ethics and integrity that BlueMaxx Basement Systems does. If you are a client of any of the below businesses or individuals, ask them about our PRO Partner program.